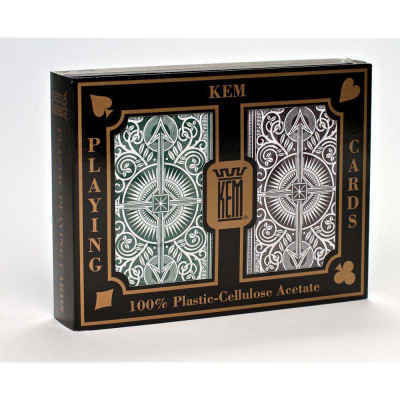 Kem Green and Brown Arrow Narrow Standard Index includes two decks of Bridge-sized cards, one in green and one in brown. The arrow pattern includes a scroll pattern with Kem's classic arrow pattern imbedded. The narrow size means it is easier to hold a full Bridge hand.